Bluebird's Blog: New In Store and a CU FREEBIE! New In Store and a CU FREEBIE! I have some new Commercial Use OK/ CU4CU friendly products for you this month. Add a bit of bling to your kits with some CU charms and swirls or some lovely metallic frames. 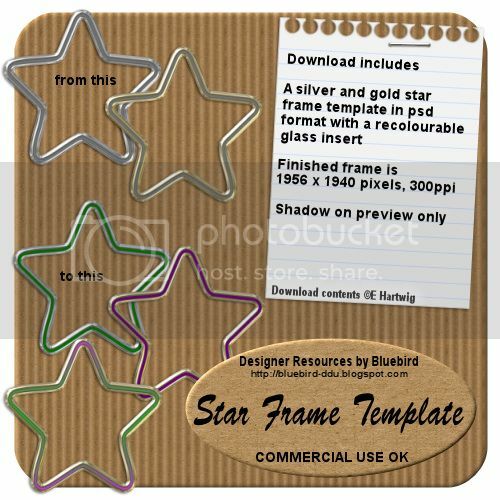 First up we have a silver and gold star frame template with a recolourable glass insert. Finished frame is 1956 x 1940 pixels, 300ppi, psd format. Commercial Use OK, CU4CU friendly. 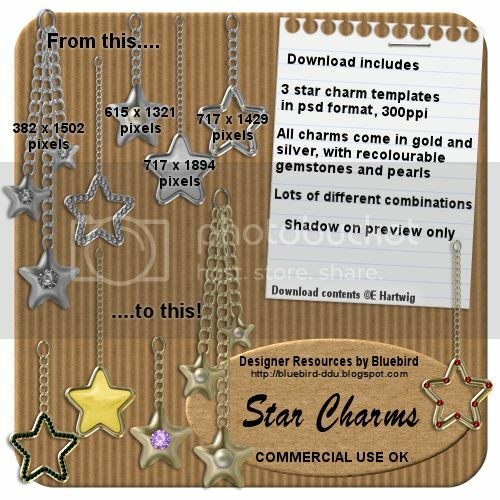 Next a star charm template in psd format, 300ppi. Each charm comes in gold and silver and has recolourable gemstones and pearls. Loads of different combinations to customise your charms. Commercial Use OK, CU4CU friendly. 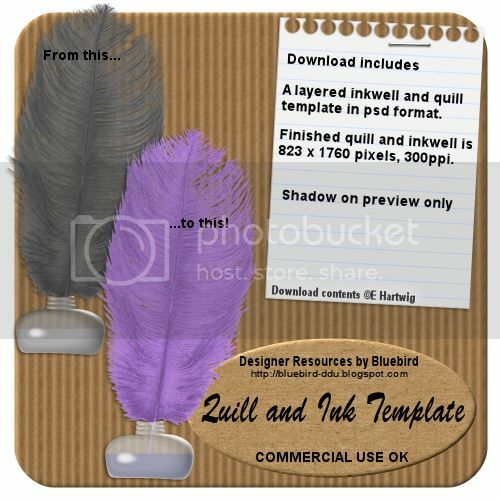 Add a touch of nostalgia with a layered inkwell and quill template in psd format. Finished inkwell and quill is 823 x 1760 pixels, 300ppi. Commercial Use OK, CU4CU friendly. Need to add some elegance? 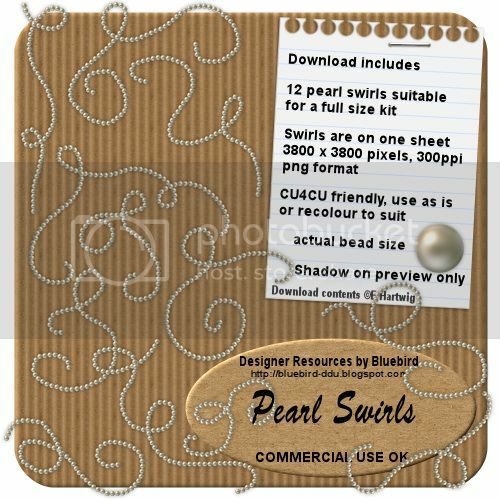 How about 12 hand drawn pearl swirls suitable for a full size kit. The swirls come on one sheet, 3800 x 3800 pixels, 300ppi, png format. Use as is or recolour to suit your project. Commercial Use OK, CU4CU friendly. 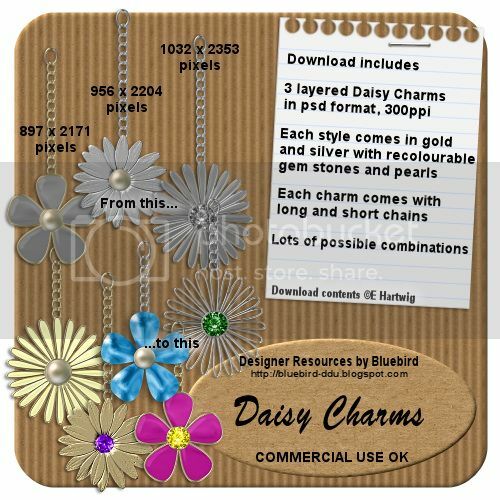 Some more bling with 3 daisy charm templates in psd format, 300ppi. Each charm comes in gold and silver and has recolourable gemstones and pearls. Each charm has the choice of a long or short chain. Lots of different combinations to customise your charms. Commercial Use OK, CU4CU friendly. FREEBIE ALERT! 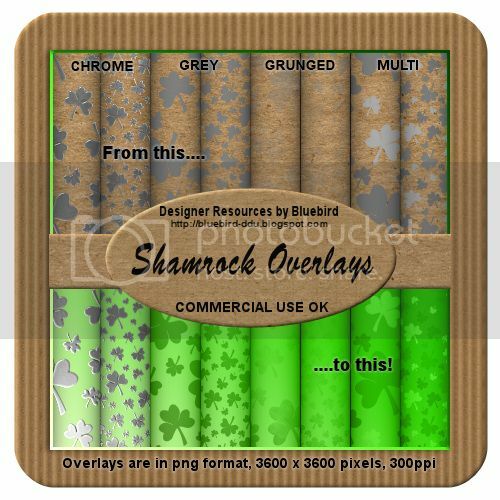 This month I have some CU OK / CU4CU friendly Shamrock Overlays for your St Pat's kits. The overlays are 3600 x 3600 pixels, 300ppi. There are 4 different styles, each style with a large motif and a small. Experiment with different blend modes to get lots of different effects. Thank you so much for this post. I want to let you know that I posted a link to your blog in CBH Digital Scrapbooking Freebies, under the Page 11 post on Mar. 01, 2012. Thanks again. Great packs! Love your charms. These are awesome, just what I needed. Thanks!